If you suffer from periodontal (gum) disease, you’re not alone. At Charlotte Progressive Dentistry, we’ve treated numerous patients with gum disease, and we’re passionate about providing customized dental treatments to each of our clients. 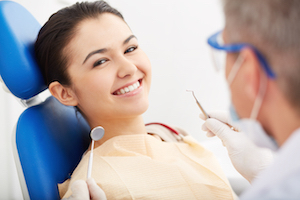 Customized Periodontal Treatment With Your Health In Mind. If you’ve noticed that your gums have started to bleed while flossing or brushing your teeth, it may be time to schedule an appointment with your local dentist or periodontal specialist. When left untreated, gum disease can lead to larger health issues such as diabetes, heart disease, and even Alzheimer’s disease. If you’re ready to take control of your oral health, schedule an appointment with Charlotte Progressive Dentistry today. Gum disease is a dental problem that a majority of Americans, so how can Charlotte Progressive Dentistry help? Periodontal (gum) disease is a true epidemic in America, with as many as half of all adults suffering from it, according to the Centers for Disease Control and Prevention. The shocking part of this news is that in most cases, periodontal disease is largely preventable with proper home and professional care. Gum disease affects more than just your smile. In fact, researchers have linked it with systemic conditions such as heart disease, diabetes, stroke, respiratory illnesses, and even Alzheimer’s disease. Many researchers believe it is the inflammatory nature of periodontal disease that can complicate other medical conditions. For many patients, the first sign of periodontal disease is bleeding and pain while brushing or flossing. If you notice blood on a regular basis when you brush and floss your teeth, it is your body’s way of asking you to take action. When addressed in its early stages, called gingivitis, periodontal disease may be reversible with improved home care and professional dental cleanings. As the disease progresses, it may require more extensive treatment to restore your health. Symptoms of advanced periodontal disease, called periodontitis, include pain, bad breath, sensitivity, tooth mobility, gum recession, and bone loss. Once it reaches this stage, the health of your teeth and gums is seriously at risk. When you come to our office with gum disease, we will never make you feel guilty or ashamed for missing your dental appointments. Instead, we will partner with you to find the best solution to restore your health and wellness. We will begin with an exam to determine the extent of your condition. 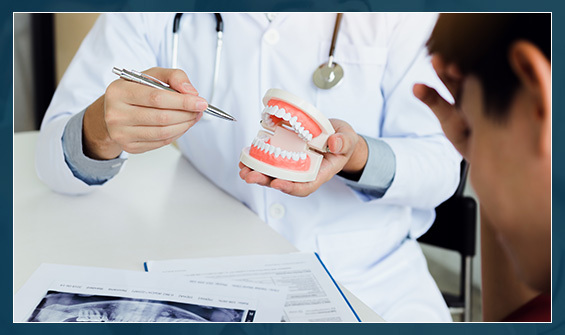 Your exam will include measuring the gingival pocketing around your teeth and x-rays. We cannot determine the type of cleaning you will need without proper x-rays. Your gums should fit snugly against your teeth because when pocketing occurs, it creates a harbor for food particles, plaque, tartar, and bacteria. Our hygienists are gentle and thorough when cleaning your teeth. They can share tips and home care techniques that will help restore your health and discuss any concerns you might have. They will then provide you with the type of dental cleaning that meets your needs. Because your toothbrush and floss cannot reach every area of your teeth, regular professional dental cleanings are necessary to keep you healthy. Our hygiene team will clean gently beneath your gum line and between your teeth, removing bacteria, plaque, and tartar so you can heal. Once we start you on the road to good oral health, we will recommend a dental hygiene re-care routine to keep you healthy. For some patients, dental cleanings and exams every six months may be enough. For other patients, more frequent visits might be necessary. 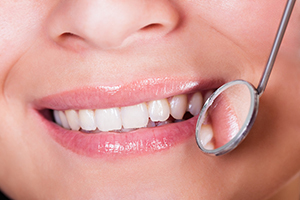 Following your hygiene recommendations is the best insurance for the health of your smile. Call Charlotte Progressive Dentistry today and schedule your next hygiene appointment. Dr. Camp, Dr. Junco, and our entire team are completely committed to helping you get back on track when it comes to your oral health.